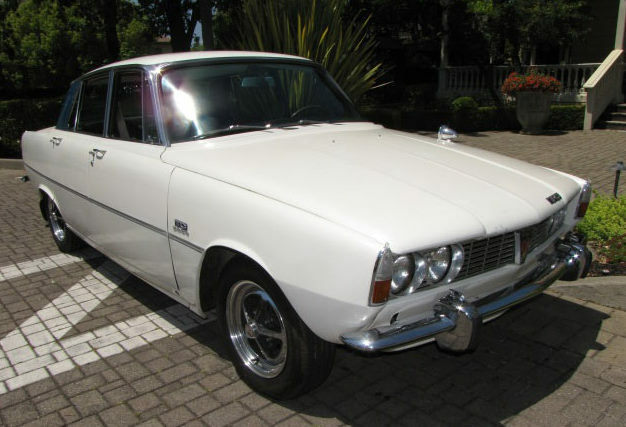 1967 Rover TC2000 - This company is selling 2 P6 Rovers, including a very desirable 3500. 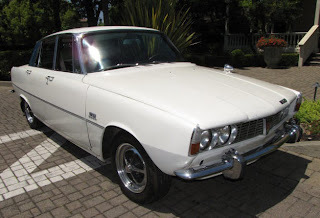 While the 3500 has all sorts of V8 power, I decided to feature this one, just because it's so original. Rover didn't sell many cars in the US. The few that they did were notorious for their unreliability and eventual rust. It's rare to see an unrestored P6 in this condition. Once sorted, a P6 is a really nice driving car. I don't think I'd want to use one everyday, but it would be a great weekend driver / show car. Located in Sonoma, CA, click here to see the eBay listing. 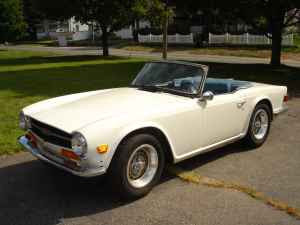 1973 Triumph TR6 - If this car is all the seller says it is, the price is very realistic. Even here in New England there are still 2 or 3 good months left for top down driving. Located in West Brookfield, MA, click here to see the Craigslist ad. 1972 Mercedes-Benz 280SE 4.5 - Sold in the US for just 1 year, the 280SE is a short wheelbase 280 stuffed full of the long wheelbase's (280SEL) 4.5 liter V8. Few cars have the "presence" that a 280SEL 4.5 has. You know it's something special the moment you see and hear it. In my opinion, these cars are bargains these days. This is a 29,000 mile car that is in near-perfect condition. The asking price of $9999.00 is top dollar. Located in Chino, CA, click here to see the eBay listing. 1991 BMW "350i" - As I've written so many times, I'm one of those "keep it original" guys. I'm not a big fan of engine swaps. But every now and then I see one that is either so well done or so outrageous, I just have to admire it. This is one of those cars. What I like about this car is its looks. Other than the "350i" badge on the back, it looks like a stock E30. The seller says he uses this car as his daily driver. 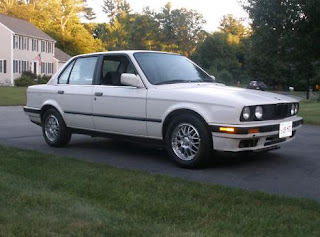 I'm not advocating street racing here, but how cool would it be to every now and then blow the doors off a tricked out VW / Honda / Toyota with your "plain jane" E30? The look on the driver's face - which you most likely couldn't see because of the tire smoke - would be priceless. Located in Norton, MA, click here to see the eBay listing. Yeah, a Beemer with a Ford 5.0 EFI engine in it is pretty wacky yet cool at the same time because he was able to do it. Still, when I think of Rover, I think of either a dog or some vacuum cleaner.